The Evertales iPhone and iPad app has all the elements that make for a good game . 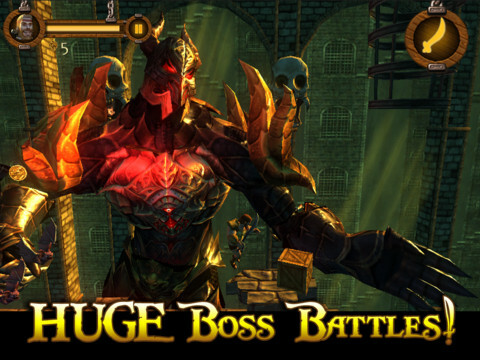 It has charm, stylish graphics and action-RPG elements, meaning that many gamers will go into this app with high hopes. Unfortunately, these hopes are not justified as the app manages to disappoint in several important areas. The program focuses around three heroes and their quest to slay the evil wizard that has been terrorizing the land. The player selects from one these three heroes and then guides them through a series of challenges that feature puzzle solving, combat and platforming elements. The player’s character also advances in power as he or she progresses through stages, which is reflected in the game ‘s level-up system. The main problem with this application is its controls. None of the three heroes in the app have a very unique feel to them; the wizard and the warrior both possess similar capabilities. 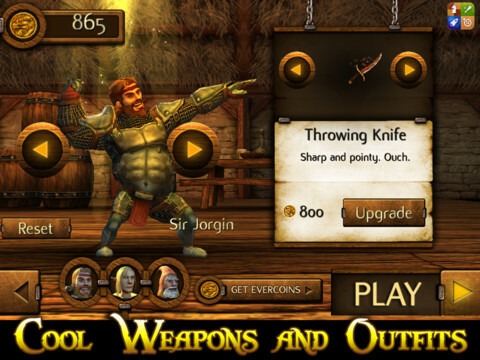 For example, the warrior can shoot a bow, while the wizard can shoot a fireball. Even this isn’t necessarily a problem, it’s the fact there is practically no difference between the two attacks aside from their animation. Each hero is controlled by players using the touchscreen on their iPad or iPod touch . These controls were satisfactory for the most part, although some of the jumping puzzles required quite a level of precision that was difficult to achieve on a touchscreen controller. The high point of this title is its graphics. 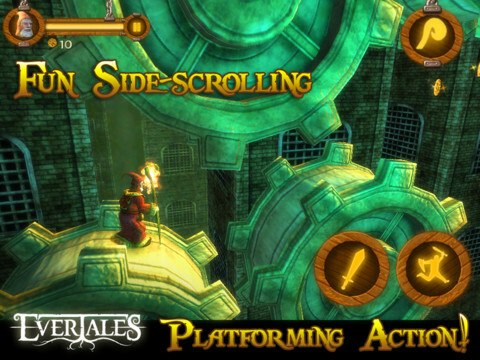 All of the environments are extremely detailed and will do a good job of immersing players in the world of Evertales. The levels all feature intricate designs with many moving pieces, and the player’s character is drawn with a lot of detail. Additionaly, players can customize their character’s appearance with different armor and weapons. It’s just a shame that the app’s gameplay doesn’t do justice to the graphics. Even though Evertales isn’t necessarily a bad app, it’s very difficult to recommend when there are so many other, better games available for iOS. Because the app only features 12 short stages, players are sure to finish it very quickly. Additionally, there is very little reason for players to play through it has been already beaten. The app even lacks additional difficulty settings, which would have at least added something in the way of replayability. Even the program’s boss battles are easy to beat, as they are easily beaten simply by attacking and jumping repeatedly. AppSafari review of Evertales was written by Darius Reimm on November 15th, 2011 and categorized under Action, Adventure, App Store, Games, iPad apps, Scrolling Shooter, Universal. Page viewed 3878 times, 3 so far today. Need help on using these apps? Please read the Help Page.